Compressive Strength 300 – 350 Kg./cm2 Avg. 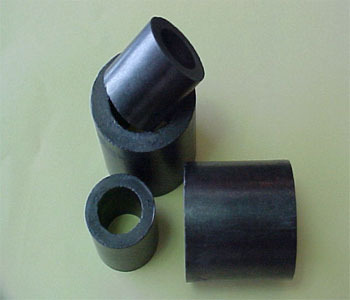 Our organization is engaged in manufacturing and exporting of a wide range of Carbon and Graphite Components. Apart from this, we also offer a wide range of Rotary Pressure Joints and Mechanical Shaft Seals to meet diverse industry requirement.Our range caters to the requirements of various industries and is known for features such as application specific design, superior mating face combination and easy maintenance. We are renown manufacturers of carbon and graphite products such as carbon brushes, double seals, graphite blocks, carbon technology, super tex rotary pressure joints, mechanical shaft seals and industrial equipment. We own a state-of-the-art infrastructure and in-house design unit, which enable us to manufacture a precision engineered range. This also helps us in meeting the bulk requirements of our clients within a stipulated time frame. Our quality products and client centric approaches have enabled us to garner a wide clientele in India and across the world.